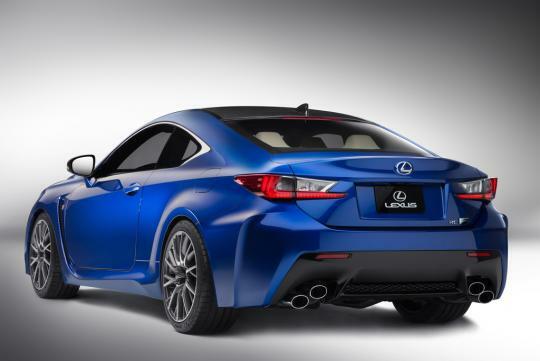 Lexus claims the new Lexus RC F is styled to support the most powerful V8 performance car ever developed by Lexus. While I cannot comment on the credibility of the statement, as no performance figures were revealed, I have to say the coupe is an exceptionally striking vehicle. 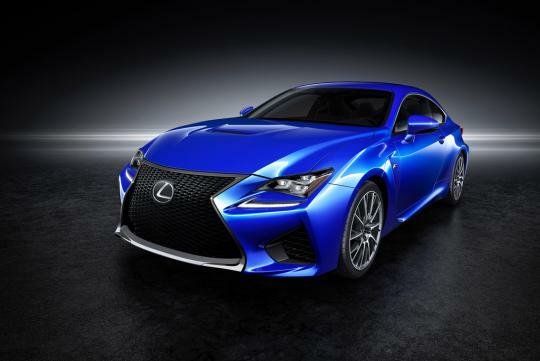 The spindle grille might not be for everybody, but I believe the RC F wears it best. And not to forget, it has an well sculpted rump too. 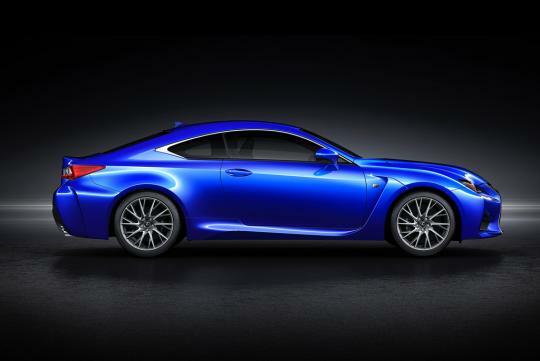 Also, personally this is Lexus' best work since the LFA and the new GS Sedan. Perhaps its the sharp styling or the colour, but the rear end reminds me of a 'Cybertron' look. It would make a good Decepticon, in my opinion. 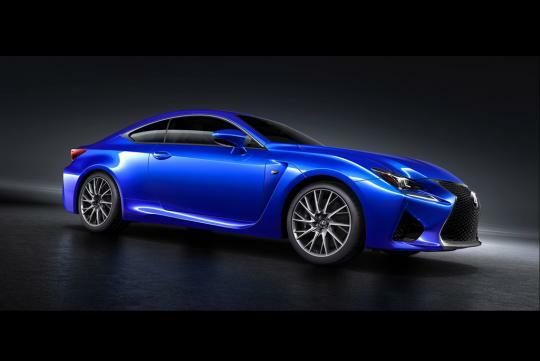 Although it is based on its 'tamer' RC Coupe sibling, the RC F has wider wheels and tyres, an active rear wing, air scoops, cooling ducts and carbon fibre components. 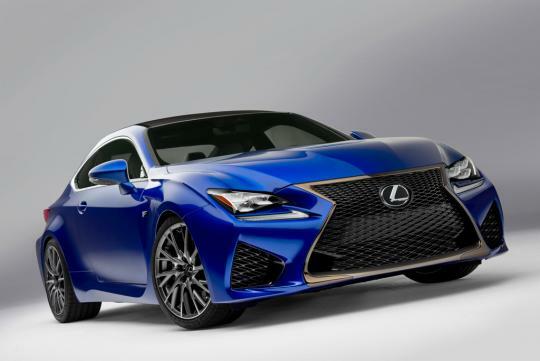 The Lexus spindle grille, now a hallmark trait for Lexus' models, features a more subtle 'F' pattern on the lower half, while not failing to dominate the front fascia of the RC F.
The hood is higher than on the RC coupe to accommodate the larger V8 engine and create a powerful flared profile. Three variations of 10-spoke, 19-inch, forged aluminum wheels are available, including a hand polished design. 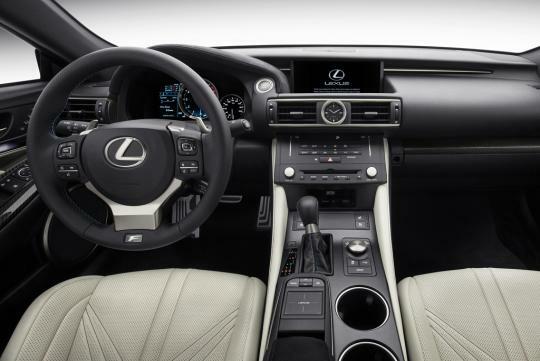 It might be a performance coupe, but apparently Lexus' obsession to detail isn't overlooked! 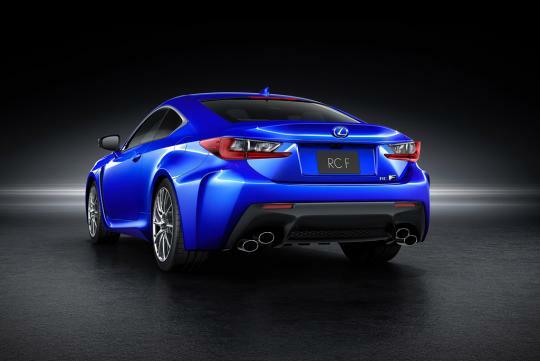 Like the LFA supercar, the RC F features an available speed sensitive active rear spoiler which deploys at around 80km/h and retracts when speeds hit less than 40km/h. The interior complements the aggressive exterior, as the instrument panel is dominated by a central meter, which changes according to the four selectable driving modes. The information, colour and text size of the display can also be altered. 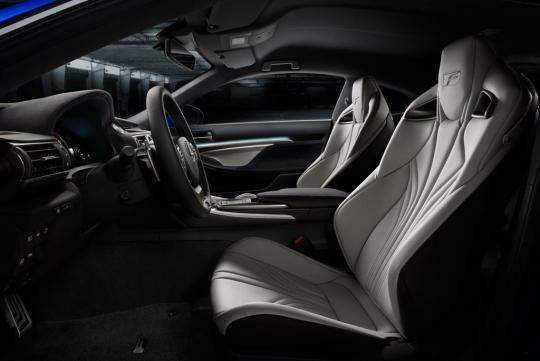 With the RC F, Lexus will debut an, elliptical cross-section thick grip, steering wheel with optimum placement of paddle gear shifts. I have genuinely no idea what that means but I don't really like the chunky and thick wheel. That is probably the only complaint I have with this car, the steering wheel and the location of the star/stop ignition button, which looks a little high and far from the driver doesn't it? Interior looks good. Can't say the same for the exterior but it looks bad a--, like how a car with brute power should look. Beautiful looking car and a head-turner. Finally, Toyota manages to intro nice fierce looking Lexus instead of "Ah Pek" looking ones. Hope they can do that to their main stream Toyota brands, not only for Lexus. So its called the "spindle grille"